Congratulations to tour winners Alena S. and Gwendolyn J. and to host winners Natural Bri and Bookaholic. 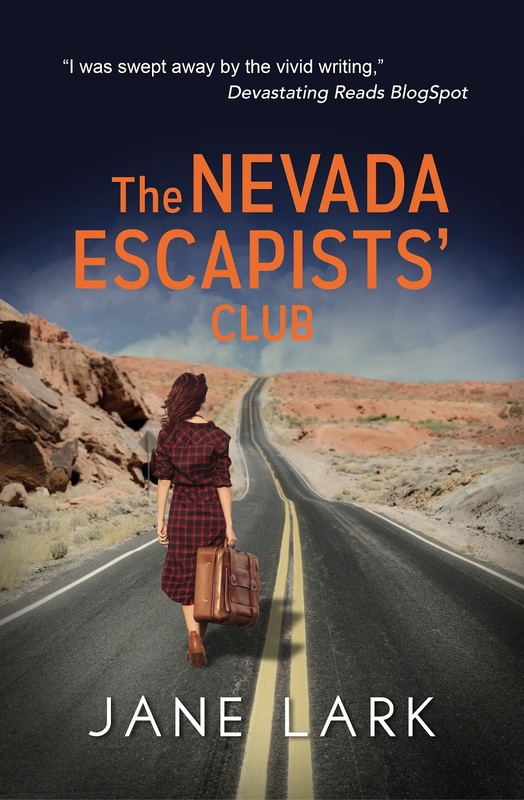 Goddess Fish Promotions is organizing a Virtual REVIEW ONLY Tour for The Nevada Escapists' Club by Jane Lark, a 339 page Women's Fiction: Thriller available April 18. The tour will run every Wednesday for 4 weeks starting on April 18, and the book is available in mobi and epub formats. Jane Lark will be awarding two beaded bookmark sets (US and International) to two randomly drawn winners via rafflecopter during the tour, and a $20 Amazon GC to a randomly drawn host. Because this is a review tour, Goddess Fish Promotions will award a $5 Amazon GC to one randomly drawn host during the tour.